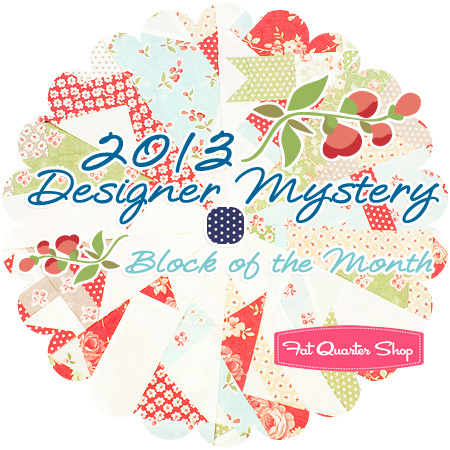 well i'm pretty excited that i was asked to be one of the designers of the 2013 designer mystery block of the month for the fat quarter shop. This year, Fat Quarter Shop is using Avalon by Fig Tree Quilts for their annual Designer Mystery quilt. 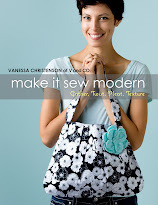 The fabric is light, a little whimsical and grounded with a bit of navy, which you’ll find peppered through the quilt. For a little treat, you will receive a MINI Charm Pack of Avalon with the first month’s block! A taste of the fabric before the club kicks into full gear. Each of the twelve sampler blocks is designed by a different Moda designer and feature rows of baskets, stars, flowers and houses. If you have never done a block-of-the-month club before, this is a great one to start with. Each month you’ll receive lots of fabric and lovely instructions to complete that month’s block. 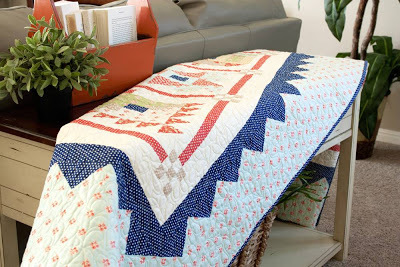 The quilt is suited for everyone, from beginners to seasoned quilters. so instead of just leaving you hanging i'll talk a little about my love of stars. 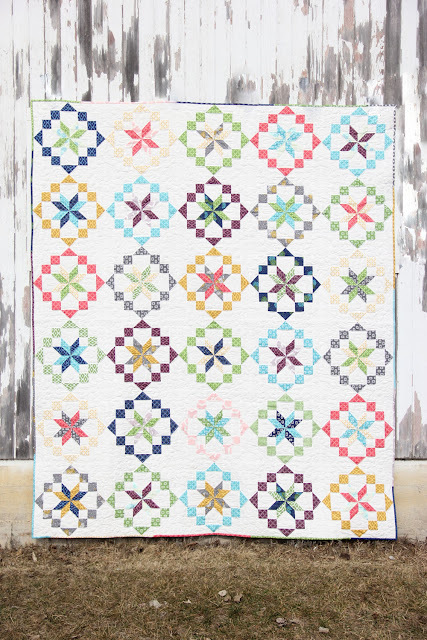 i think stars was the first love for me in quilting. actually i still love stars. 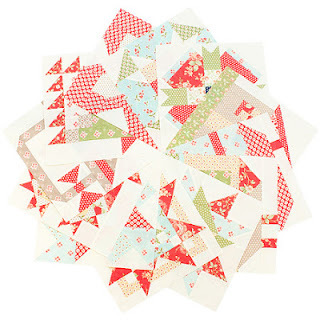 and i still think they are my favorite to have in quilts. 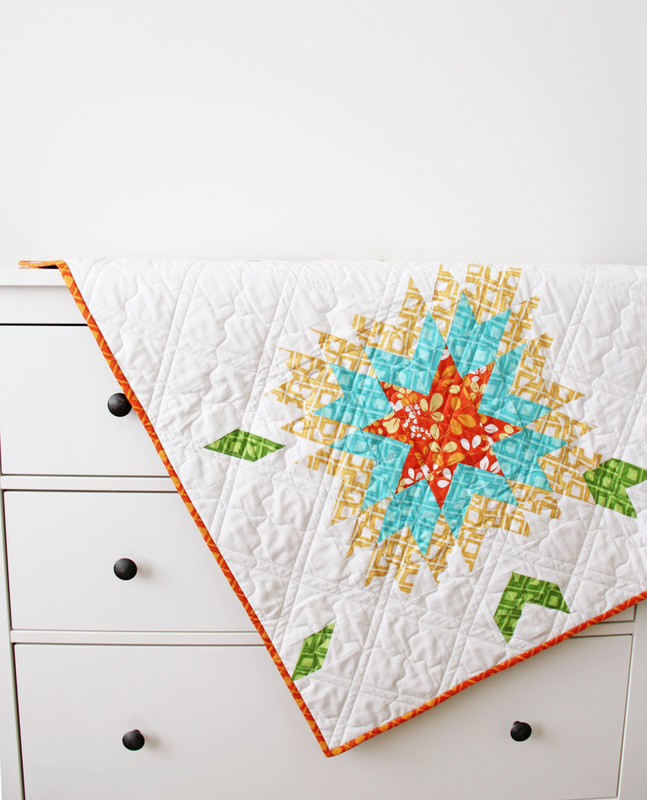 but shhh please don't tell all my other quilts that don't have stars in them that. some of you know that just recently we moved from the west part of the united states to the middle part of the united states. 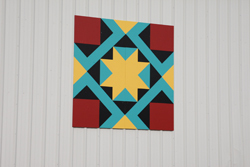 and as we were driving into iowa i started to notice big huge quilt blocks on the side of barns. i started yelling "oh my gosh do you see that? did you see that??" to the husband as we drove by. he thought i saw a yetti or something. i said hope best next thing: i saw quilt blocks on the side of buildings. he was not amused. and as a matter of fact even after almost 2 years of being here...i still make him pull over when we can so i can look at and make up stories about what the blocks on the barn means. it's just so fun to me. and i have a good man that rolls his eyes and half listens to my stories about them. as much as he sighs and grumbles when i make him pull over...he has been known to spot a few for me when i miss them and he gets excited to see me get excited...until i ask to turn around so we can get a better look at them. then he wishes he didn't tell me. 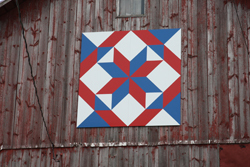 i make my own stars and place them on the side of barns but in the form of quilts for pictures. the fat quarter shop asked me to talk about another kind of star as well. they asked me to pick a favorite star like as in an acting star. he is a super serious actor and takes drama to the next level. caterpillar on his lip, hair that just wont stop. how can you not look at this man and think "nope, nothing hilarious about this guy...all seriousness and awesome sauce." my absolute favorite movie on this earth is Elf . here will farrell is doing his dramatic and very oscar worthy interpretation of me right before my time of the month. so realistic, so spot on, hit the nail on the head kind of acting. bravo mister ferrell, bra.vo. it's as if i am looking at myself in the mirror once a month. Looking forward to seeing your block in the Designer Mystery 2013. It will be my second one that I have joined. I am loving 2012. I love the 4-H quilt block. :) Well done, Iowa. I'm a Nebraska native, and whenever I'm back to visit, I've noticed these cropping up around my home county lately. Don't know who is behind them or why, but it is fun to find them! Love those barn quilts! We are even starting to see them in Michigan. I like what I am seeing in this "Mystery" BOM. 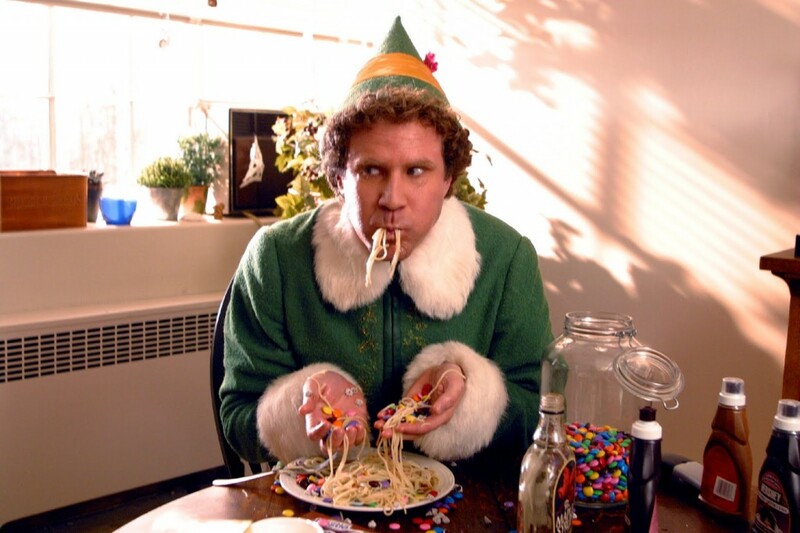 You're right - Will Farrell doesn't get the credit for all his fine acting - Elf is also one of my favorite movies. 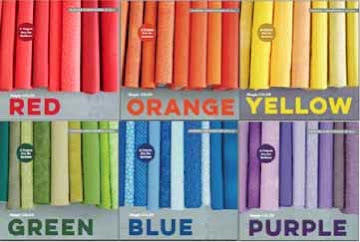 I think I need to make a trip to see those barns quilts. If i ever get that way ill have to look for them. You are so funny and I love reading your blog. You're super talented with a great sense of humor. You brighten my day! I wish I had the time, skill, and commitment to do this. It would be awesome. PS. 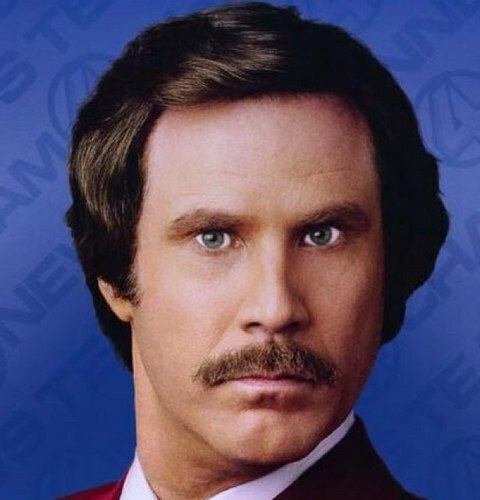 I love that your favorite star is Will Farrell. Hilarious. Hi, from eastern Iowa! Your quilts are wonderful. I'm thinking I need to join the BOM club! 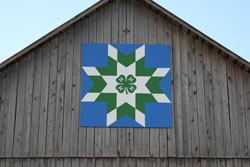 kansas has lots of barn quilts too! i love seeing them and want to make one for our shed, but my husband thinks it's nutty. I read every word of your post and loved it all, especially where you said that the pic of W.F. in Elf looked just like you just before your time of the month!! LOL!! Love your humour!! 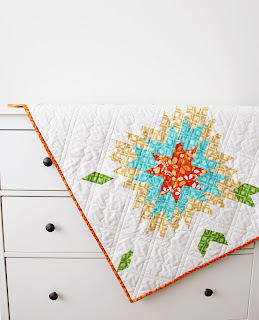 And stars were my first love in quilts too: still love them!! 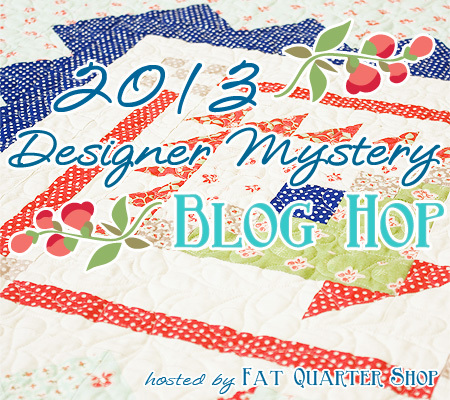 Can't wait to see what you designed for the mystery! !